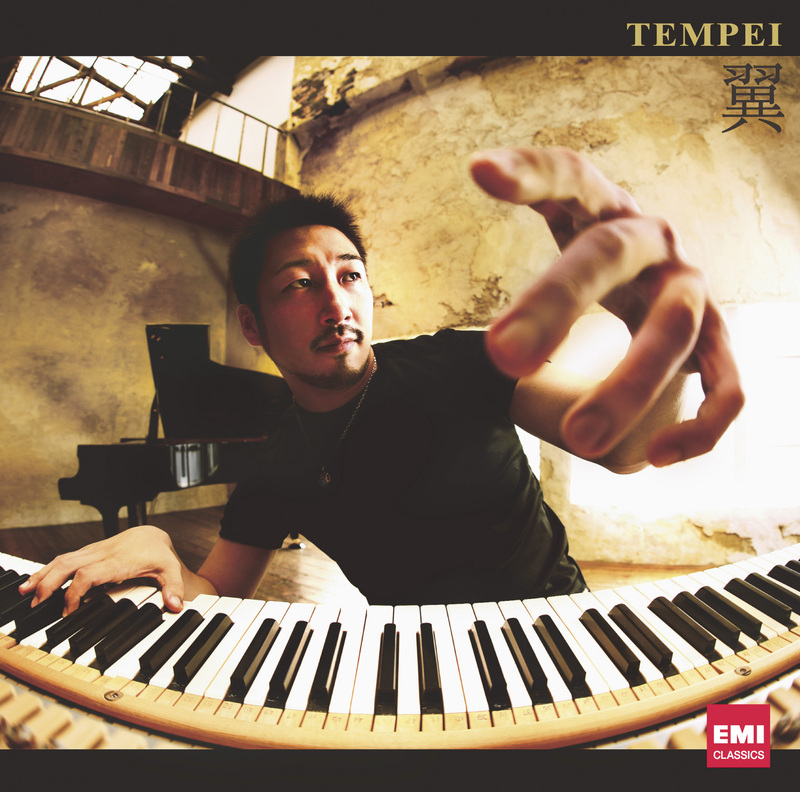 A native of Kobe, Japan, pianist and composer Tempei Nakamura began his studies on the piano at age 5. In junior high school, his home was destroyed by the Great Hanshin Earthquake. He dropped out of high school to work in the demolition industry. Although he never played the piano during his junior high and high-school years, he was accepted into music school and went on to study at the Osaka University of the Arts, where he graduated at the top of the Piano Course. In 2006, he relocated to New York City to pursue his career internationally. In 2008, he made his CD debut from EMI Music Japan. In 2010, he made his solo recital debut at Carnegie Hall, New York. 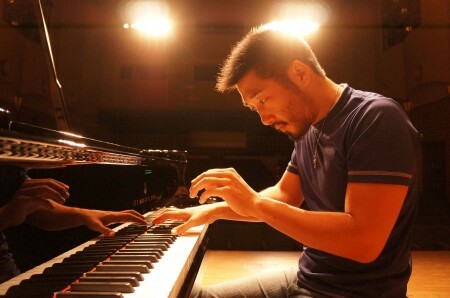 He performs annually in Europe and has held concerts at the Concertgebouw in Amsterdam, Maison de la culture du Japon à Paris, Japanese-German Berlin Center and other venues in various countries including Spain, Portugal, Italy, Austria, Luxemburg, Estonia, Slovakia, Ukraine and Belarus. Additionally, he has gone on nationwide tours of Japan and held concerts in “unexplored regions” such as the Kumano-kodo, a registered World Heritage Site. He has dedicated his “Rising Sun” project to the reconstruction efforts of the Great East Japan Earthquake, and was honored by the Hyogo Prefecture Artists Society with the Award for the Advancement of the Arts in 2015. He is currently based in New York City and Tokyo. 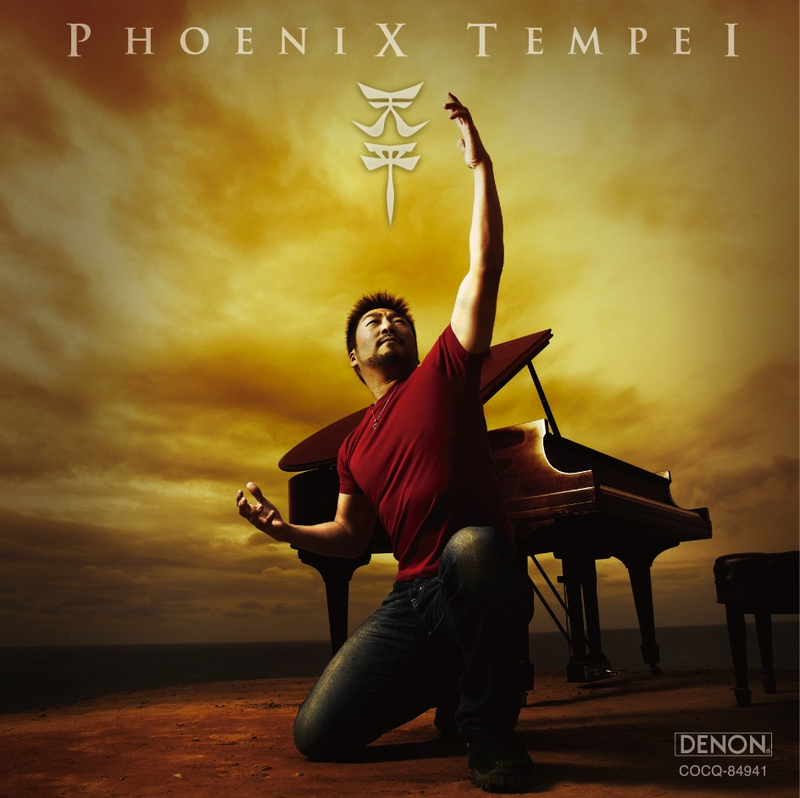 Released on November 11th 2009 (EMI Music Japan), on sale also on Amazon! Free as a bird – that is the key principle of my life. But as I begin taking this road to success, this principle as well as other things seem to get lost along the way. I have been feeling as though I am imprisoned and that all of my freedom has been taken away. In order to concentrate on composing pieces for this album, I closed the curtains and completely segregated myself from other people. I want to escape from this isolation, to be free as a bird, and to have wings that allow me to fly around the world. This piece was developed from those sentiments. I have expressed the agony of a bird flapping its wings to try and escape from the mud, and also the triumph and joy when it finally sets free and realizes the fans, supporters, and loved ones that await him. Thank you. This piece illustrates my anticipation of when I first moved to New York. The unnerving yet exciting feelings of hope when going on a journey or adventure, and the motivation and determination to attain the dreams and goals that I set for myself. dream. My voyage still continues. and would take the B, C line to 103rd Street Station to get home. The subway at that time of night was always very dark with hardly any passengers, and as I stood on the platform waiting for the train to arrive, it always felt like time had stopped. When I first arrive in New York, things weren’t working out for me as planned and since I couldn’t speak English well, I was going through a very challenging time. As I waited for that train, I used to imagine how I was going to change my situation and find a brighter future. I wrote this piece in one day, just a couple of days before I started recording this album and I just let my inner sensibility recall that moment and compose as it wished. horizon. The beautiful sunset on the Hudson River is one of those breathtaking moments. On a lightly snowing day, I was sitting in a cafe with my teacher, Mr. Ron Yedidia, and I said “the snow is so pretty”. And his reply was “Yes, and I love the rhythm of the snow,” which made me stop and ponder. Since then, as I sit at my piano at home and look out the window, I try to feel the rhythm of the snow. To me, piano and music are my wings. Without the piano I would just be an ordinary man, but the piano allows me to go to different countries, different places, and even allows me to fly to fantasy worlds. This piece expresses how I use my wings of music to take flight into different worlds. The phrase towards the middle of the piece is expressing the symmetrical left and right wings. There are some things that you only reveal to your significant other. And as you learn more about eachother that is only shared between the two of you, the relationship deepens. Happiness is when two people share a given moment where they can mutually feel the meaning of life. But then, love comes to an end. The person that was closer to you than even family or friends is now so far away. The severe sadness of losing that one person who truly knew and understood me. Time and tears to heal my wounded heart. Music to gently embrace my soul. One early morning, as I couldn’t sleep due to a broken heart, I wanted to be comforted by my piano. So I lied down on the long piano stool and played some notes with my left hand – and this piece was born. The little squirrels that we raised in our hearts, slowly faded away. which I have now combined with my own compositions and it has become Supernova. I was writing this piece right in the midst of the World Baseball Classics. I was at a sports bar in Midtown (New York) with a large crowd of Japanese fans supporting the Japan Team during the Final Championship Game against Korea. It turned out to be one of the most memorable games of all time. It was a tie game, top of the 10th inning, two outs, with runners at 2nd and 3rd base, and the batter was Ichiro. I thought to myself “Ichiro was born to be standing there right now”, and I didn’t have to pray for him to get a hit I was certain that he would make history. So when he got the two-run hit, my reaction was a mixture of tears, goose bumps, and cheering. That explosive moment was like a Supernova. They represented the country of Japan and won, they are our pride. I would like to dedicate this piece to the WBC Japan Team. I walked into my New York apartment after being in Japan for a few months,and was shocked to see that my room had been completely ransacked. I was very depressed as I cleaned the apartment everyday. Then my special friend came from Japan to cheer me up, and help get the apartment back to its original condition. On the final day that we finished cleaning the last section it was getting light outside – and we stared out the window and watched the sun rise. I will never forget those 7 days that we spent together in New York and this piece is filled with those memories. 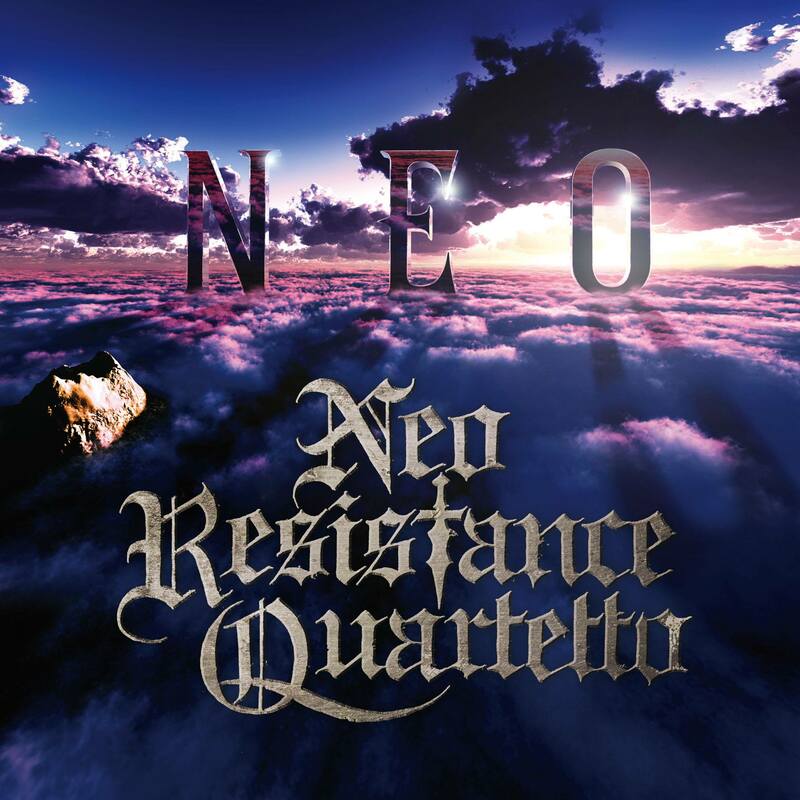 Released on June 18th 2008 (EMI Music Japan), on sale also on Amazon! This piece has changed forms since I first composed it, and has become more intense and passionate like a true flame. A flame can burn soft and delicate at times and then rapidly turn strong and fierce. It’s composed of so many different emotional elements, just like a human being. I composed this for a friend’s wedding, thinking of all of my precious encounters with my past teachers, mentors, and friends. “Ichigo Ichie” (once in a life-time meeting) means that even though you meet someone today that you may continue to see, this specific time, place, and situation will never be the same again, so cherish every moment. I hope that those listening to this piece will be able to reflect upon their special encounters. This is my very first piano composition. I composed this for myself to improve performance, skill and technique. I believe that etude pieces are effective if the technical difficulty is uniform throughout the piece. Thus, I recomposed it numerous times to get to this final piece. The chromatic scale is used abundantly throughout, and it is necessary to have pliable fingers to play this piece properly. This piece has been strongly influenced by progressive rock music as I tried to express sounds of a three-piece-band of drum, bass, and piano. “Fantasy” was composed to be free of any musical formats and rules, it has irregular timing and a completely original style that cannot be categorized in any specific genre. I imagined an adventurous exploration of the universe and space and named this piece “Fantasy”. This piece was inspired by the Japanese fairy tale, “Tatsu no ko, Taro” (Taro, the Dragon’s Son). Taro goes on a journey to find his mother who was turned into a dragon. I tried to express the last scene of the story where the dragon mother swims from the surface of the lake into the mysterious colored sky with tears flowing from her eyes, as she leaves behind her human son. I received an email that started off “When I listen to your compositions, it helps brings out allof my past memories that I had hidden away.” She continued to write about how she lost a veryspecial person in high school, and the email was filled with all of her memories with this person.I was so drawn in by her clear memories that I felt like it was my own experience. I wrote thispiece to be the soundtrack for their short lives together, and hope it is a consolation for them.The melody came to me naturally one night when I was playing piano alone at the church in the NewYork Piano Academy. I was so focused on playing that I didn’t even notice that there was someonelistening in the back. He commented “what a beautiful piece, its amazing”, and that was when Irealized that this would be my next composition. This piece expresses the dance of the “Kishin”” which are Japanese demons (gods). These Kishinhave superhuman powers that surpass our human senses. They can only be considered Kishin, when theyhave both strength and determination of the “demon”, plus the natural gift of the “gods”. 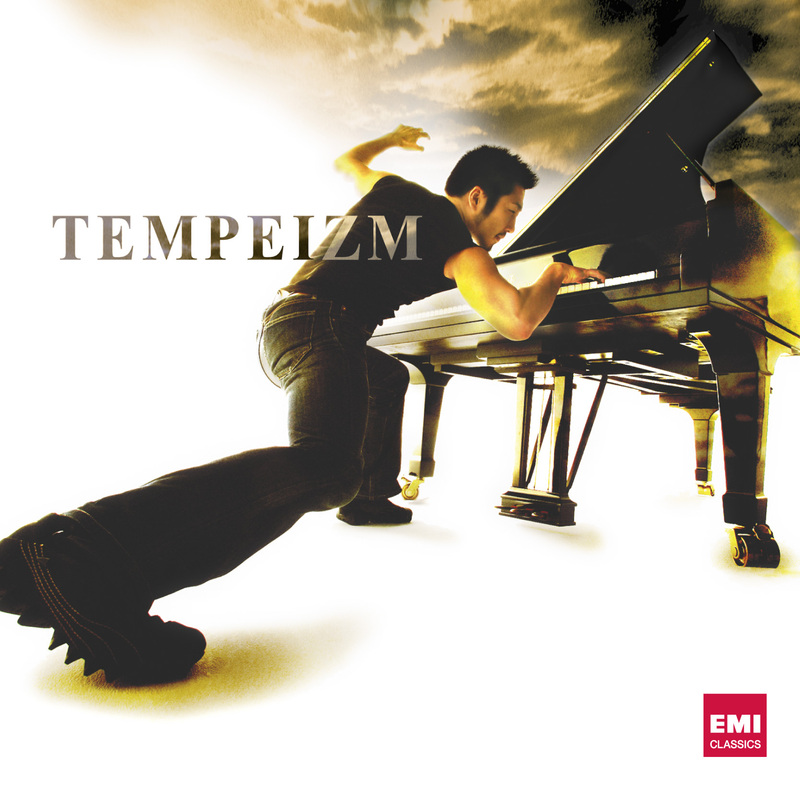 Thiscomposition was strongly influenced by the Hungarian pianist, Georges Cziffra. Sometimes you realize the importance of something when you have already lost it. Those thoughts come in the form of memories, of a smile, of the special moments, of the arguments, etc. This composition was written when I broke my left finger. Piano, which was the focal point in mylife had been taken away from me, and I wasn’t sure if my fingers would ever move the same way again, leaving me feeling hopeless and unsure. The only thing I could do was to play the piano with my right hand. Although I was feeling so low and unmotivated, I still wanted to play the piano and I ended up composing this right-hand-only piece. I tried to express the deep despair that I felt, as well as the small glimmer of hope that I saw amongst the darkness. In this piece I tried to express the Japanese MLB player, Ichiro. His play style is so speedy andspectacular, yet so beautiful as he changes his form smoothly like flowing water. This piece is divided into three parts; the first part starts with Ichiro at his best, in a lushes green ballpark; the second part is the dark period when any genius athlete has a slump and goes through mental and physical torment; the third part is his rise out of the darkness, back into supremacy by breaking records, and leaving behind a legacy. I finished this composition right before recording this album, thus, this version of “Area 51” is the absolute first time I have ever performed this to an audience. This suite was composed of my memories from the summer of 2004. When summer is around the corner, I feel so anxious, and when summer is ending, I feel so melancholic. Although summer comes every year, I feel this way because, once one summer goes by, I can never experience that summer again. The summer of 2004 commenced as the sun rises to start the day. The weather was so immaculate, that being outside, I felt like I was flying through the bright blue skies. It was July 19th, my best friend and I spent the day driving through the mountains and swimming in ravines – that was one of my most memorable birthdays. The sun rays were sparkling against the clear, soothing river. The solitary shrine (“jinja”) stood tall amongst the sounds of the cicada, as the sunset glistened through the trees. This mystical moment has been deeply etched in my heart. That summer concluded as the sun sets to end the day.